Here we believe in cultivating a lifelong love of music from the earliest grades. Learning an instrument has many proven benefits. Studies show that students involved in music develop intelligence and have success in both school and society. 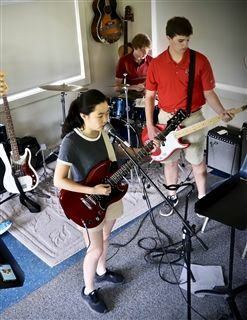 Instrumental Music opportunities at The Heritage School include piano and guitar lessons, strings ensembles, and an Upper School Contemporary Band known as The Talons. The program is led by talented, professional musical educators.